Carlos is an Engineer & Entrepreneur with over 30 years of international experience in the Innovation & New Advance Digital Technologies Industry, leading successful organizations (Siemens, Sagentia, Altran, Eptron, eLearning Consulting). Carlos was engaged in several EU R&D programs in collaboration with organizations in the European Union, in the fields of VR & AR. Today, Carlos is Founder & CEO of ONE Digital Consulting, a VR/AR technology based SmartEducationLabs platform to help the transformation of the educational community. 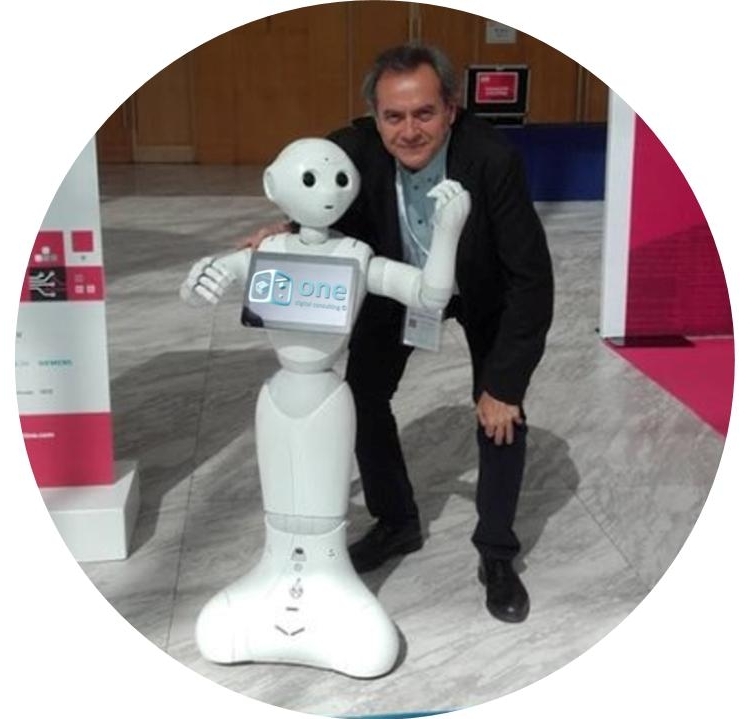 Carlos is the Co-Chair of VRARA Education Committee, Member of Smart Cities Experts Group of AENOR and Board Member of different EU ITC Associations. Carlos has an International MBA, (Entrepreneurship Development Programme (EDP)) from Babson College in Germany, Certificate by Maryland University in Innovation and Entrepreneurship and Certificate in Digital Marketing for Business Internationalization from ICEX. With strong values and years of experience on innovation management, marketing and business development, Carlos is an excellent coach and high performance teams developerer with focus on Innovative added value solutions.